Top Luxembourg hotels will surround guests with sincere care and excellent comfort. They are located in beautiful places: near the parks, historic sites and historical original buildings. The chic, beautifully furnished rooms offer the guests with mini bar, air conditioning, TVs and work desks. Some Luxembourg hotels provide guests with tea and coffee in the room. This hotel is a perfect place if you come to Luxembourg on business affairs. It is rather close to famous European Institutions and it will take you several minutes to get to the new exhibition Centre. 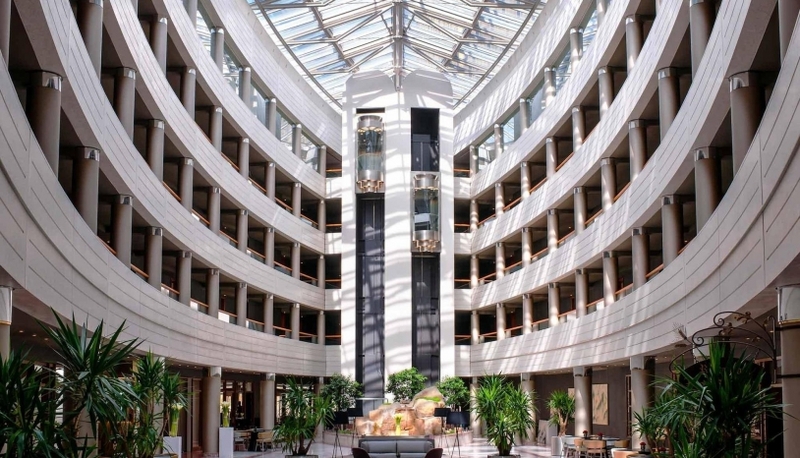 Sofitel Luxembourg offers 7 conference rooms. There is also a boardroom here. The guests are welcomed to the hotel’s own restaurant "Oro e Argento," where you can try best samples of Italian Cuisine. You can enjoy a cigar in Havana Lounge. Beautiful and elegant, Le Royal Hotel offers 210 rooms with a perfect air-conditioning system, good Wi-Fi and awesome service. It includes a shuttle from and to the airport, SPA-center where you can find everything you can imagine, from solarium to hammam. You can allow all kinds of desserts, because the hotel’s gym is at your service. If you seek for a homelike atmosphere with perfect service, this hotel will give you this and even more. 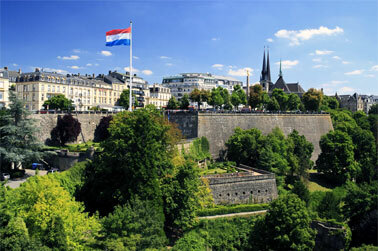 Situated in the shopping center of the city, it is surrounded by places of interest and Luxembourg sites. The rooms are very cozy and look like private apartments. Each room has an individual design and is equipped with all you might need. This 4 star hotel is very popular for business staying. It is very close to all European organizations, and if you need to get to the city center, you can make it in 15 minutes’ walk. The hotel provides free room for business negotiations, and wireless internet. The rooms are designed in a modern style and have all conveniences. DoubleTree by Hilton Luxembourg is situated in nature's lap and is a perfect place to relax far from noisy streets. At the same time it is rather close to the city, a car can drive you there in five minutes. It also provides a shuttle to the Airport. The hotel is a great place to hold a conference or business meeting, with its boardrooms and free parking which can accommodate 250 cars. There are a sauna, a swimming pool and a fitness-center.